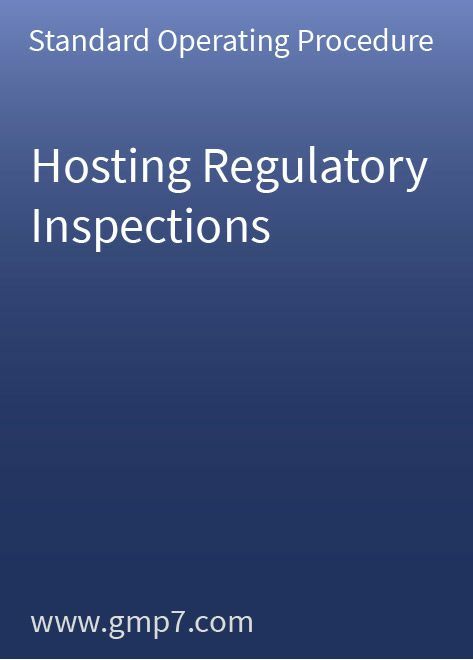 The aim of the Hosting Regulatory Inspections program is, firstly, to ensure that a well defined and professional inspection process during FDA or any other regulatory Inspection in connection with pharmaceutical development, manufacturing, testing of materials products or medical devices at your site. This is a must and also crucial prerequisite for a successful outcome of the authority inspection. This Standard Operating Procedure (SOP) provides all information that should be considered during a regulatory inspection. The SOP covers the whole inspection, starting with the arrival of the investigators/inspectors on site, following the inspection activities and ends with the final close out meeting of the inspection. The SOP gives also an overview about the organization of the inspection team and the roles and responsibilities of the involved site personnel like Inspection Coordinator, Scribe, Runner and Subject Matter Expert. This 18-page SOP, which includes four attachments – is ready to use and only needs small site specific adoption.